Note: It will quickly be obvious to the reader why details have been obscured, omitted or fictionalized in this fascinating narrative of events that began nearly forty years ago. Years ago I regularly played billiards with a Jewish friend from New York City who had an eccentric habit that augmented his skill with a cue stick and billiard balls. Whenever I called a shot, for instance “six ball in the corner pocket” he would hustle to that pocket and touch it while saying the word “Haman”. Of course, this aroused my curiosity and when I asked him what he was doing he told me to read the Book of Ester from the Hebrew Scriptures. The Book of Esther is the only book in the Bible where “God” is not even mentioned. It is a story of political intrigue fueled by hatred. It also contains the most satisfying example of poetic justice in the world’s ancient literature. For the reader to grasp to significance of the Haman story’s relevance to the mid-term elections in the United States you will need to carefully follow the plot and logic of events that began more than forty years ago. Even small children know how to get what they want by creating a crisis. Witness any “temper tantrum.” My wife and I teach parenting skills. One of our sayings which we recommend to parents when dealing with a child’s “crisis strategy” is: “Poor planning on your part does not constitute a crisis on my part. No, you can’t borrow $20 because you are broke, even if you did promise to take Betty Lou to the movies tonight.” The child did not get their way. A similar “No!” needs to be said to adult politicians who have created a crisis to get their way. Another example; Paris taxi-drivers, in protest against a police demand that they take physical examinations, threatened to obey every traffic law to the letter—which would, they vowed, produce the greatest traffic jam Paris had ever seen. The Taxi drivers got their way. It’s obvious to anyone with half a brain that Obama is using a crisis strategy to further his liberal/socialist agenda. 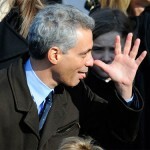 Obama’s former chief of staff and the current mayor of Chicago, Rahm Emmanuel told us as much. To better understand the fascinating story in Part Two we need some background information. 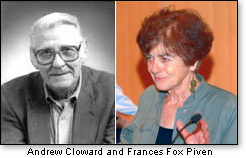 In the late 1960s a pair of college professors who thought they were original thinkers came up with something called the Cloward-Piven Strategy (CPS) for forcing political change through orchestrated crisis. The strategy is effective in developing Children of The Beast. “Cloward-Piven’s early promoters cited Chicago radical community organizer Saul Alinsky as their inspiration.” Make the enemy (sic) live up to their own book of rules,” Alinsky wrote in his 1989 book, Rules for Radicals. When pressed to honor every word of every law and statute, every Judeo-Christian moral tenet, and every implicit promise of the liberal social contract, human agencies inevitably fall short. The system’s failure to “live up” to its rule book can then be used to discredit it altogether, and to replace the capitalist “rule book” with a socialist one.” Notice that Alinsky might have heard about the Paris taxi drivers, and then gave their strategy a radical left twist. 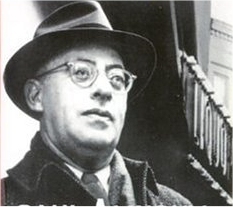 Saul Alinsky had a huge influence on radical left people of the day. 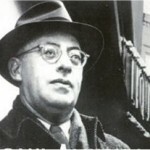 Alinsky was the subject of Hillary Clinton’s senior honors thesis at Wellesley College. “In early 1993, the White House requested that Wellesley not release the thesis to anyone. 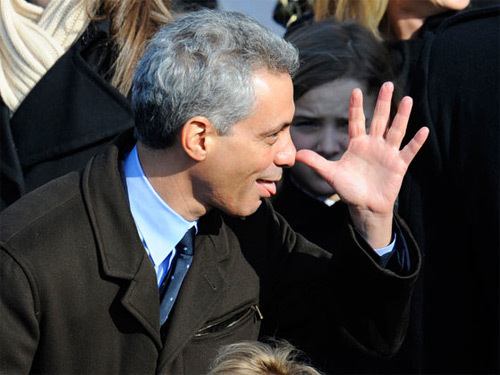 Wellesley complied, instituting a new rule that closed access to the thesis of any sitting U.S. president or first lady, a rule that in practice applied only to Rodham.” Alinsky also strongly influenced a youngChicago “community organizer” named Barack Obama. An old friend from my spooky past, who was a fellow student at the Universityof Missouriat Kansas City, recently reminded me of his adventures back in the early 1970s. If you did not know that clergy are used for intelligence and undercover missions, it is probably because the double life of clergy/spies is seldom exposed. However history gives us a dramatic example. Dietrich Bonhoeffer was a German Lutheran pastor, theologian, and spy. He was also involved in the German Resistance movement against Nazism and a founding member of the Confessing Church. His involvement in plans by members of the Abwehr (the German Military Intelligence Office) to assassinate Adolf Hitler resulted in his arrest in April 1943 and his subsequent execution by hanging in April 1945, twenty-three days before the Nazis’ surrender. Part Two, recounting decades old events, by an Intelligence Officer with the code name The Rev. Big Goon sheds light on how Cloward-Piven Strategy relates to the ongoing American political and economic crises.